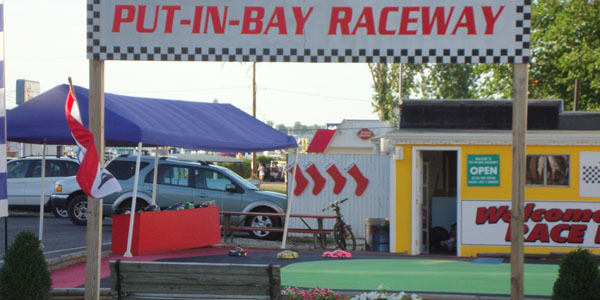 Compete with remote control cars on a specially constructed banked track at the Put in Bay Raceway. Great fun for all ages. For only $2.00 per racer, you can challenge up to four other Bay racers to a 2 1/2 minute race on the oval track. These little cars reach speeds of more than 50 miles per hour, which is the fastest you can drive on South Bass Island!